At Solon Orthodontics, we treat people, not just smiles. Dr. Philip Bomeli and our team members are passionate about developing friendships with each person in our care, while creating straight, healthy teeth so they have beautiful smiles. This is an orthodontic practice where the focus is always on you: your comfort, your unique needs, and your orthodontic journey. We promise you will never be just another patient to us; you will always be welcomed and treated with respect and compassion, as we would care for a member of our own family. You’ll be surrounded with smiles and laughter, the moment you step through our doors. Ours is a positive, fun environment, where our patients love to visit and where we love seeing them. Our team members are always joking with our patients, swapping jokes and sharing stories of adventures. We love the friendships we have with our patients, and watching the changes that happen in their lives as they move through the orthodontic transformation. Even the most shy and self-conscious person begins to blossom as they see their new smile developing, and they start coming out of their shell. Seeing a person more at ease with their appearance, and their self, at the end of treatment, is incredibly fulfilling. When that person sees their new smile for the first time, we cheer and laugh with them. While our practice is equipped with state-of-the-art technology used in diagnostics and monitoring, and we use only leading-edge, proven treatment methods, we also believe in old-fashioned, patient-focused care. 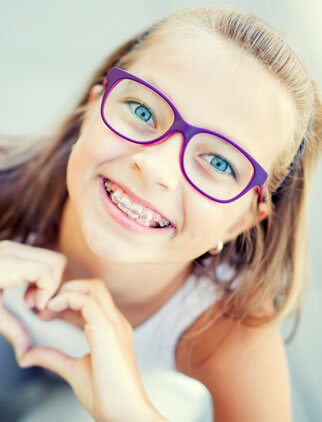 The connection between our team and you is essential to you enjoying your orthodontic journey, and we want you to love getting your new smile. Open communication is essential: we’ll always be honest and direct with you, whether we’re making treatment recommendations, developing a payment contract, or answering your questions. You need to know you can rely on us to provide the highest level of care, always. If you ever have any concerns, please let us know. Your complimentary consultation is a chance to come to the office, have a tour, meet our team, and receive a free exam. Then we’ll sit down with you and discuss the findings, reviewing available treatment options and how they’ll work to straighten your teeth. This is your time to learn about orthodontic care, and discover if we’re the right office for you. To schedule your consultation, please call our Solon, OH orthodontic office, where we serve patients from Twinsburg, Aurora, and the surrounding communities. Our Solon Orthodontics team looks forward to welcoming you to our smile family!